With the demand for wireless technologies constantly increasing, the pressure is on to increase the quantity of sites that can service this demand. Sites like GSM tower base stations, repeater stations for microwave and radio frequency technologies and wireless distribution points are constantly being rolled out to meet these demands. Would it not be great to know exactly what the statuses of these almost always unmanned sites are? As they are vulnerable to fault conditions, security breaches and downtime this can be eliminated with the use of environmental element monitoring utilizing points of presence sensors and security threats that can be detected with the applicable sensors. One of the largest threats is loss of power feeds to these sites and with sites that have backup power generators that the diesel fuel runs out or the generators fail. The addition of various sensors at these remote sites increases the visibility of events at the specific site and increases the time available to react to conditions that could cause downtime. 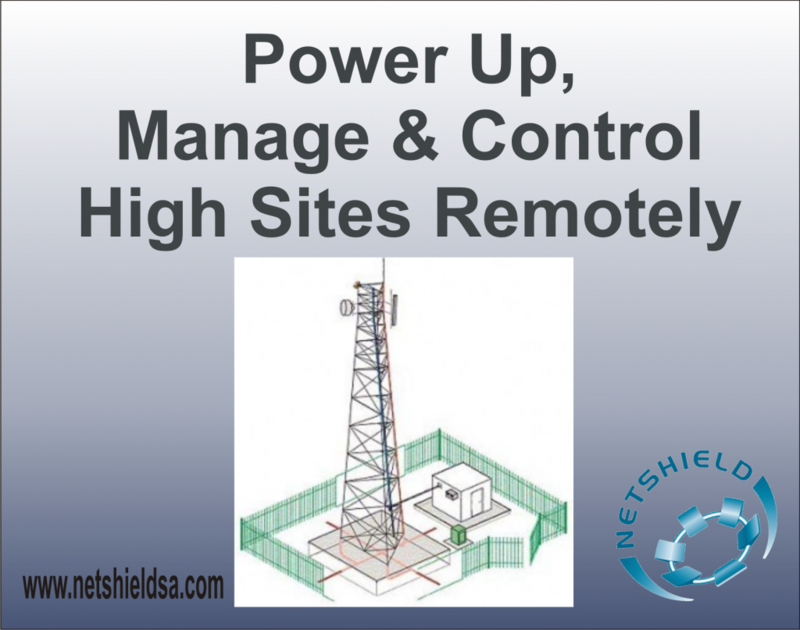 Handy sensing devices for high site shelters and perimeters then comprise of power presence detection, electrical generator conditions (starter battery, fuel levels, power delivery, cooling fluids temperature and vibration), environmental conditions (temperature, humidity and flooding) in the high site shelter, perimeter security detectors and monitored access control. These events should create instantaneous remote alarm indications to minimize the reaction time of dispatching of services personnel or remote controlled actions to eliminate failure. All events must be logged and saved to a centralized database for analysis.